The reasons most mothers don’t jog or hike, even when they like these activities, is their strollers. Only a few strollers can thrive on the bumpy, rough terrain and forest paths, including the BOB Sport Utility Stroller. The BOB Sport Utility is a jogging stroller, designed with the adventure-seekers and runners in mind. 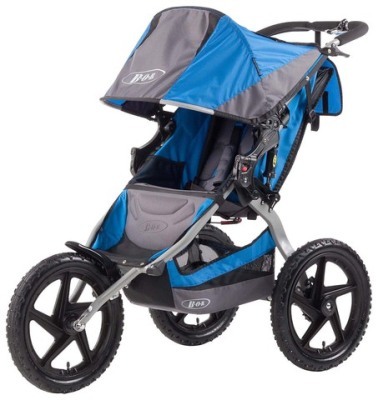 From dirt to mud, snow, wooded trails, or unbeaten roads, you can trust this stroller to handle any situation. So, if you a parent that likes taking off on such journeys, you have no excuse not to now. However, it is important to mention here that this stroller is not multi-faceted. Thus you can’t have it function as the conventional pushchair. Find out why in the full review below. 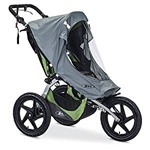 Jogging stroller 50″ x 26″ x 44″ Great for running in difficult terrains. 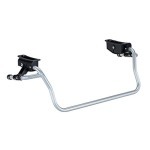 Comes with an excellent shock-absorbing suspension system and adjustable handlebar. Which BOB model will be suitable for me? Like your everyday stroller, the design of the BOB Sports Utility Stroller make it a perfect choice who like physical activity with their little ones. It is even great for harsh and bumpy terrains, courtesy of a couple of nice features, although you may not want to take it out on your casual outings or to the groceries store. There are wheels large enough fitted with wide tires, and great amortization. You can rest assured that the reliable suspension system will protect your child from experiencing any shock, irrespective of how bumpy the ride is. Stability is guaranteed by the fixed front wheel, and you do not have to worry about pushing; it glides seamlessly. 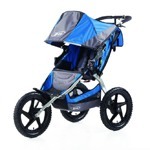 You are expected to take your BOB Sport Utility Stroller on off-the-road running or bumpy trails jogging sessions. 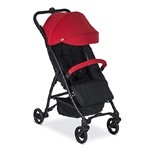 It is not the ideal stroller for casual outings because of its big size, as well as the absence of a swivel front. 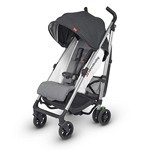 You should consider other BOB models if you seek a stroller for this purpose, as this one doesn’t have a swivel front wheel and will be rather hard to navigate in tight locations. However, the active parents and runners have an ideal companion in BOB Sport Utility, considering the special features that make it suitable for these roles. Let me present you the most important ones. The kind of suspension system in the BOB Sport Utility is adjustable, depending on the weight of your little one. If your baby is heavy, the looser suspension is the right choice, and for lighter babies, the stiffer suspension works just fine. Getting the suspension right is pivotal to a smooth ride. This stroller sports 16” wheels, with one in the front, and two in the back. The wheels are fitted with knobby mountain large pumped tires. These air-filled tires contribute significantly to the stroller’s ability to thrive on almost all surfaces, even the roughest terrains. You will find the shock-absorption, and traction features quite effective, even when riding on muddy or wooded trails. 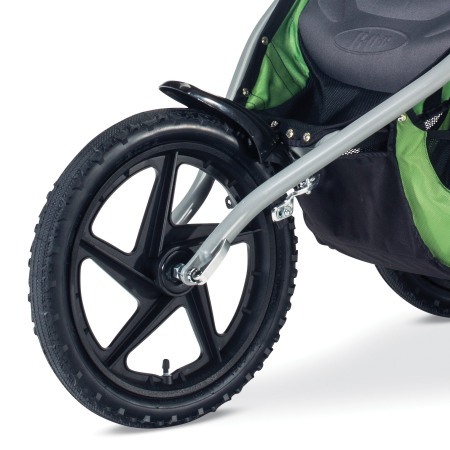 The fixed front wheel means you are guaranteed of extra stability during the rough rides, and the fender ensures that the passenger and stroller remain relatively dust- or dirt-free when riding over unbeaten and muddy trails. However, the lack of the swivel wheel restricts it to the unconventional terrains. Thus, you cannot run errands or go shopping with your BOB Sport Utility stroller. The foot-operated parking brake of the BOB Sport Utility is located between the rear wheels. If you are on flip-flops, be careful with setting and releasing the brake. It can be a bit tricky. The BOB Sport Utility features a hand-operated break, and this comes handy when jogging downhill. You can control the speed more easily with a handbrake, even when at high speed on hilly or bumpy terrains. The seat in the BOB Sport Utility offers comfort, with the cushions and nice padding of the back and the base. You also have dedicated padding, for the lower back of your baby; you can detach if you want. The seat holds up to 75 lbs of passenger weight. There is a buckle situated on the back of the seat, which allows you to recline it down to 70-degrees from vertical. You also have ample depth to ensure your baby is comfortable while napping on the go. The full recline should not be applied when jogging; only when walking. The BOB Sport Utility has a 5-point harness that keeps your baby in place, fully safe. Your kid won’t be able to unlock it, but the buckle will be easy to unlock for you. Are you thinking about buying a BOB Sport Utility? Check how much it currently costs on Amazon, maybe you can find an attractive discount. If you are running with a baby of around 6-8-month-old seated in your BOB Sport Utility, he/she can sit upright with the head held up without any assistance. However, if your passenger is a newborn, you can only walk with the stroller – no running. And you will have to buy an infant car seat that works with your stroller, alongside the adapter. This is because you cannot recline the main seat of the stroller flat. Additionally, you will need a headrest for the baby, and this must be in place until they have a fully-developed head and neck control. You can also rest assured that your passenger has his or her legs and feet well supported. 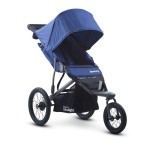 The large canopies common to all BOB jogging strollers are not absent in the BOB Sport Utility. 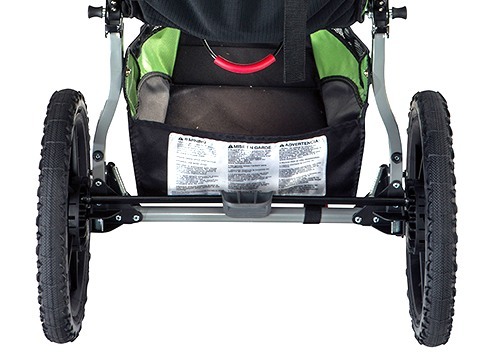 You can even adjust the sunshade in this stroller to several positions, while checking periodically on your baby during the journey, through the big peek-a-boo window. The extended reach of the canopy ensures that no sun or wind gets to your little passenger, although there have been reports by parents that the canopy doesn’t lock quite well when they open it fully. What you have in the BOB Sport Utility is an adjustable handlebar that is well-covered with foam. Interestingly, the handlebar is adjustable into nine positions – from 35” to 48.5” above the ground; thus, you have no issue whatsoever with the height. The adjustable handlebar is a newly-added feature, considering that the older versions weren’t adjustable. 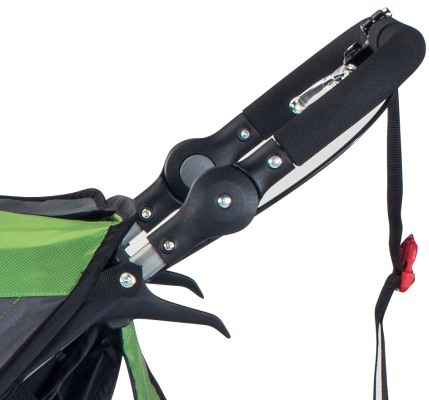 Attached to the handlebar is the wrist strap designed to provide you with additional protection to ensure that you don’t lose the hold of the stroller. Using the wrist strap demands extra care, especially when jogging. You can conveniently keep your baby gear and other essentials in the BOB Sport Utility, courtesy of the multiple ample spaces designed for this purpose. The backseat pocket is where you are expected to keep your keys, cell phone, wallet or wipes, and other essentials. The spacious basket underneath the seat is for the bigger packages, like the large diaper bag. The interior seat pockets can house your baby’s favorite toy or sippy cup. You do not have a parent console or tray out-of-the-box, although you can purchase one if you want to have an easily accessible bottle of water during a stroll. The folding in BOB Sport Utility is in two steps, and it requires the use of your two hands. Although the process is simple, the one-handed option would have been better. 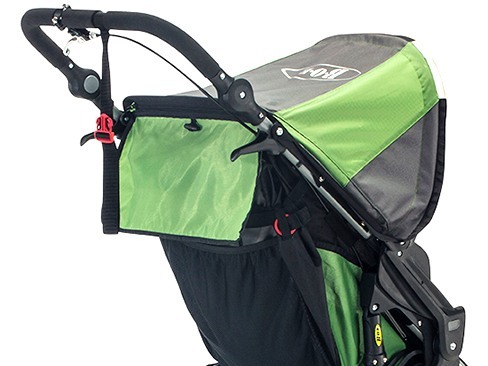 The BOB Sport Utility has no automatic lock, like other jogging strollers from BOB. 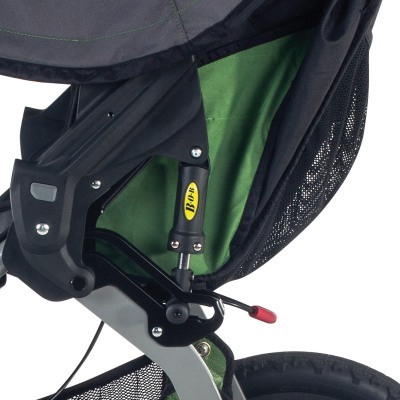 There is a clip attached to the wrist strap, used in locking the stroller in a closed position manually. This may be a bit difficult for those who have back problems, or those that had just undergone a C-section, considering that they need to bend down to reach the clip. Folding the stroller doesn’t take away from its big size. The folded BOB Sport Utility has a dimension of 39.5” x 26” x 24.5.” So, be ready to give up a decent amount of space in your trunk. Still, removing the rear wheels after folding will make it a bit more compact. As stated earlier, the BOB Sport Utility is nothing close to lightweight, and a weight of 28.6 lbs may be too much for some parents to lift to the car trunk. While this is not impossible, it requires a decent effort. So, you may reconsider traveling or going shopping with it. The stroller is made for outdoor use, a role it plays quite well. Note that there are hardly small, lightweight, or compact joggers. So, you may have to accept the extra weight in good fate, after all, the frame is made with high quality materials, the wheels are big, the canopy is really spacy, and overall, you get a durable jogger that handles all uneven terrains. If you still hesitate whether to choose this stroller, check the reviews of other parents who bought this stroller on Amazon. You can assemble the BOB Sport Utility in 15 minutes. You can control the stroller better with the handbrake, especially when on difficult surfaces. You have an excellent shock-absorbing suspension system. The large air-filled wheels do just fine on the most difficult terrains. Ample storage space for all your necessities. The deep reclining seat offers extra comfort with the padding. 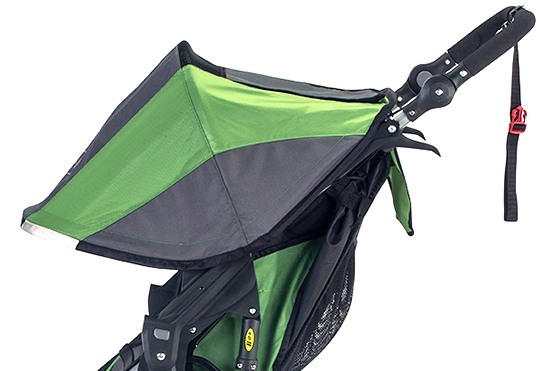 The canopy is extendable and long enough to keep your baby from the reach of sunrays and wind. You can push around easily, courtesy of the adjustable handlebar, irrespective of your height. Heavy and bulky, even when folded. The front wheel doesn’t swivel, thus steering and turning in narrow places is difficult. Thus, the stroller is not right for crowded and tight spaces, like the shopping mall. 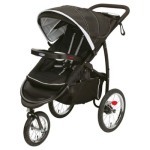 Like most BOB jogging strollers, the BOB Sport Utility is compatible with numerous accessories. However, the fact that the front wheel of this stroller is fixed means it is not compatible with some accessories. 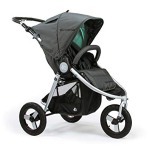 Let’s check some of the great accessories you can add to your BOB Sport Utility stroller. 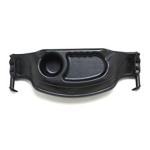 BOB Single Baby Car Seat Adapter (compatible with BOB & Britax) – The BOB & Britax baby car seat works fine with this stroller, as well as a couple of other brands. 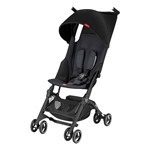 A car seat is necessary if you are looking to use the stroller as a travel system. You will also need a proper adapter. BOB Single Snack Tray – This provides a one-stop convenient place to keep your bottle of water or your baby’s snacks and sippy cup. If you ask me, I’d say this is compulsory, especially when you plan longer rides. 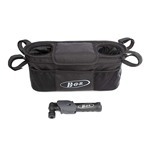 Bob Stroller Handlebar Console with Tire Pump – There are two cup holders in this adult console, and they come handy for keeping your bottle of water close (rather than in the backseat pocket), as well as your keys and phone. BOB Sun Shield for Sport Utility Stroller – Fix this to your stroller and give your child extra protection from insects, winds, and sun rays. 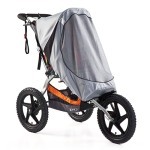 BOB Weather Shield for Sport Utility Stroller – This comes handy during the rainy days. No doubt, there are a lot of similarities among all the BOB jogging strollers, making it tough to decide on the best. However, notable differences lie in the sizes of the wheels, the presence/absence of a handbrake, presence/absence of a swivel and lockable wheel or a handlebar than you can adjust. Asides these distinguishing features, they all have large canopies, reclining padded seats, ample storage space, and an excellent adjustable suspension system. And another difference, perhaps the most important, is the price. 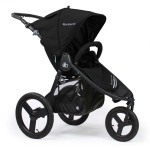 All of the BOB jogging strollers are quite alike at a first glance, so it’s not easy to pick the right model for you. Check the features: some of them have larger wheels, some have smaller. Some of them don’t provide an extra handbrake. Not all of them have the swivel front wheel or come with a fixed-height handlebar. Make sure to check all of these things before deciding to buy a particular model. 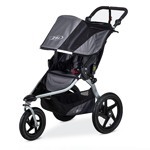 Some BOB jogging strollers sell below $400, for example, the BOB Rambler (check the price and possible discounts here). However, you have some at about $500, for example, the BOB Revolution PRO (check the price and possible discounts here). What determines the price, basically, is the features, accessories, and specifications. 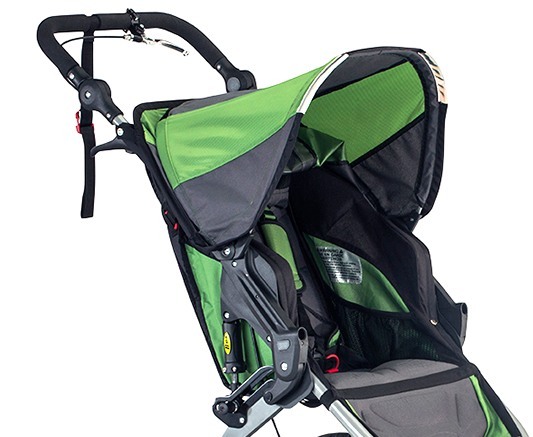 A BOB jogger with swivel lockable front wheel is ideal for parents looking to go running or shopping with their stroller. However, if the intended use is jogging or marathon training, the BOB models with the fixed front wheel are the perfect options. You will need a handbrake to stroll and run in hilly areas, and an adjustable handlebar if you are very short or very tall. The Sport Utility Stroller premiered over 3 years ago. Since then, BOB has released many new stroller models, including the BOB Revolution Flex Jogging Stroller, which is very similar to the Sport Utility model, and much cheaper. Below I present a comparison of these two strollers. By offering safety, stability, and durability, the BOB Sport Utility Stroller will get you through any kind of terrain. You can rest assured of a smooth and safe ride with your baby. You should not forget that despite the ability of this stroller to handle the most difficult terrains easily, you will find it a bit difficult to maneuver in tight and narrow spaces. Since it is intended for users that run, the front wheel has been designed to be permanently fixed. Recommendations from users have shown that it serves best when it is used for running, rather than strolling around the city. Other BOB joggers with swivel front wheel will serve you better if you want something you can run errands or go shopping with. Before you decide to buy BOB Sport Utility stroller, check if there are any discounts available and how other parents rated the stroller.